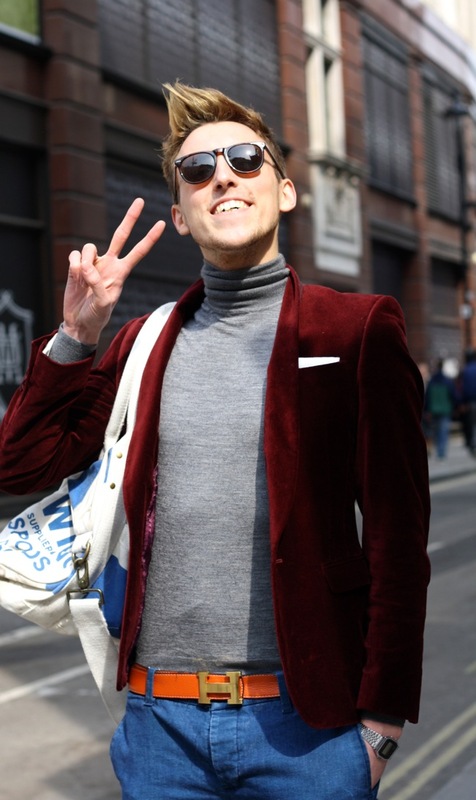 I recently stalked Mitch on Regent Street, it was one of those beautiful sunny days that had a cool bite in the air, so the velvet jacket he was supporting looked fab and was perfect for the weather! I loved the way he dressed it down with jeans turned up and scruffy boots. Mitch had just got back from travelling in China, so when I asked him to give me a flash of his personality for the shot he did the well known peace sign that we all love to do! What an awesome dude! I love him and his style. Mitch looks like a darling! 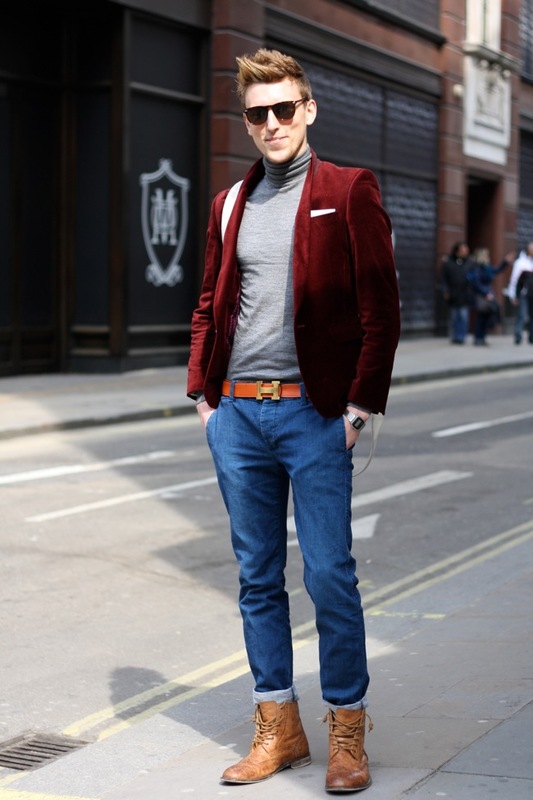 Love the suede jacket! Cool outfit! like the way he's styled those boots! so perfect!!! i love it!! He looks like a cross between Justin Bieber and Chad Kroeger! I like how his belt says "H" which I assume means he banks with Halifax? It's nice that he comes with a bit of a dangerous edge, the turtleneck giving him that Operation Yewtree edge to the look.